CEEL Book Study – Cohort of Educators for Essential Learning! CEEL will have two book studies each year, and we invite you to read along with us. The first CEEL Book Study will run from October – December. 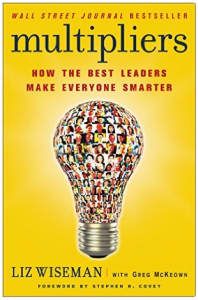 We will be reading Liz Wiseman’s revised and updated Multipliers: How the Best Leaders Make Everyone Smarter. This book connects to our Core Value of Talent Development, and we’ll discuss how to foment schools that “multiply” educators and students based on the book’s findings. Join us on Twitter to discuss this book via “Twitter chat.” The CEEL book study Twitter chat will take place on the first of every month, from 9:30 p.m. – 10:30 p.m. EST (2:30 – 3:30 a.m. GMT). Our very first chat begins on Sunday, October 1. Find us through the hashtag #ceelchat. You do not need to have read the book to join in the chat!